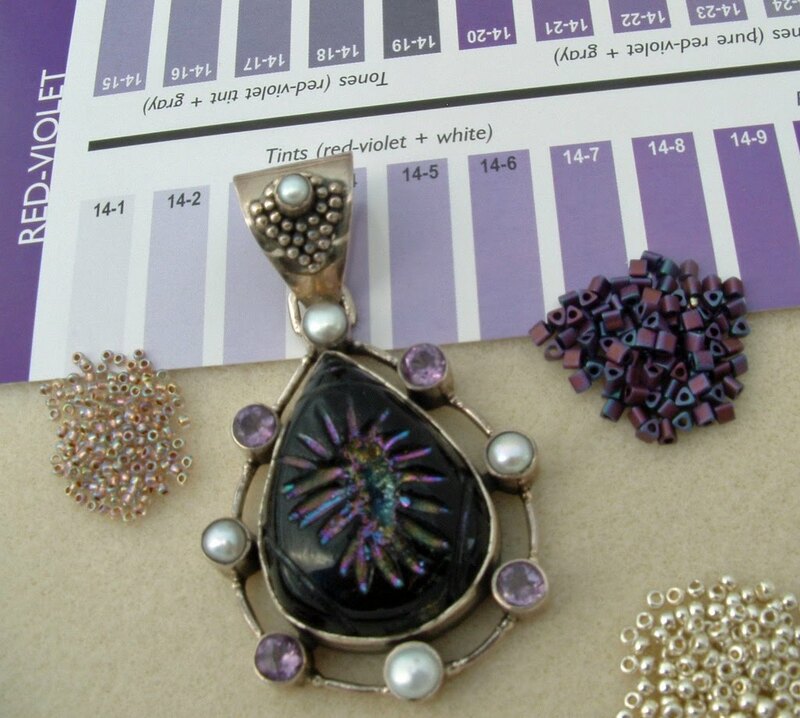 I’ve been considering neck strap designs for this beautiful silver and gemstone pendant (acquired last year before the price of silver started capturing headlines), and have finally found one I think will work. Elegant and understated were my key requirements because I want the focal to really stand out. I’m keeping the main beads in the red-violet family and am hoping the gold-lined beige AB delicas will bring a little warmth to the piece without being too bright. Check back – I hope to have the rope finished by the end of this week!